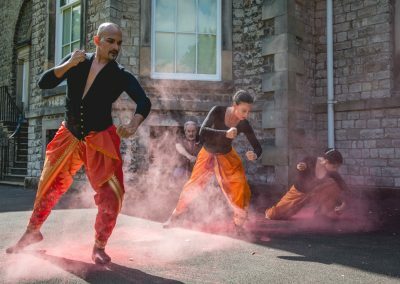 An outdoor performance, inspired by Dante’s ascension to heaven as described in Paradiso, while drawing on Hindu astrology and the nine planets of Navagraha. 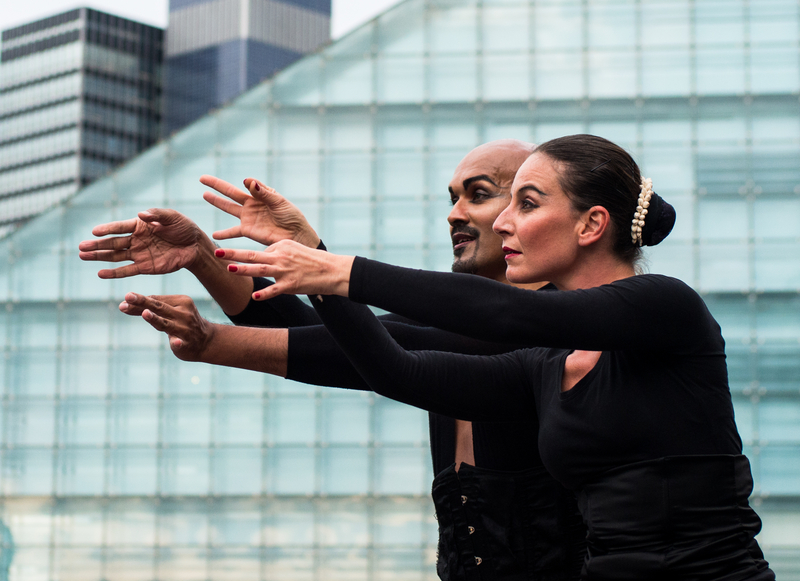 Audiences were guided through the site on a journey to the heavens as dancers moved. Each performance was fully site responsive, the choreography was tailored to its surroundings creating a distinct experience at each location. 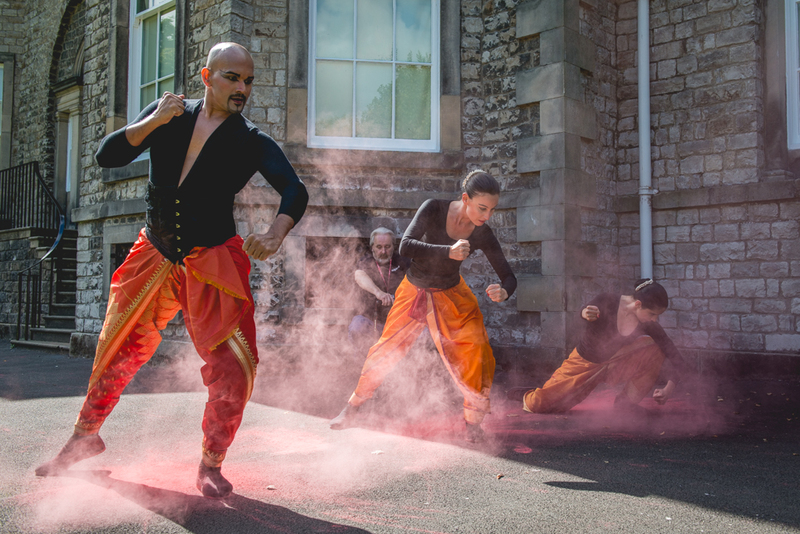 Ascension was choreographed by Manuela Benini on a classical western and middle eastern music composition by Ash Madni, and featured a cast of three dance artists. 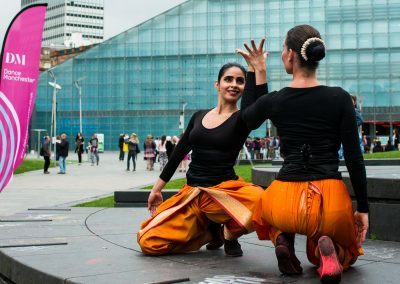 The performances were as intimate as they were powerful, drawing on classical Indian dances Kathak and Odissi, fused with the imagery behind Dante’s Paradiso, the third part of Dante’s poem Divine Comedy and Mars – the fifth planet of Navgraha, and ruler of the warriors. 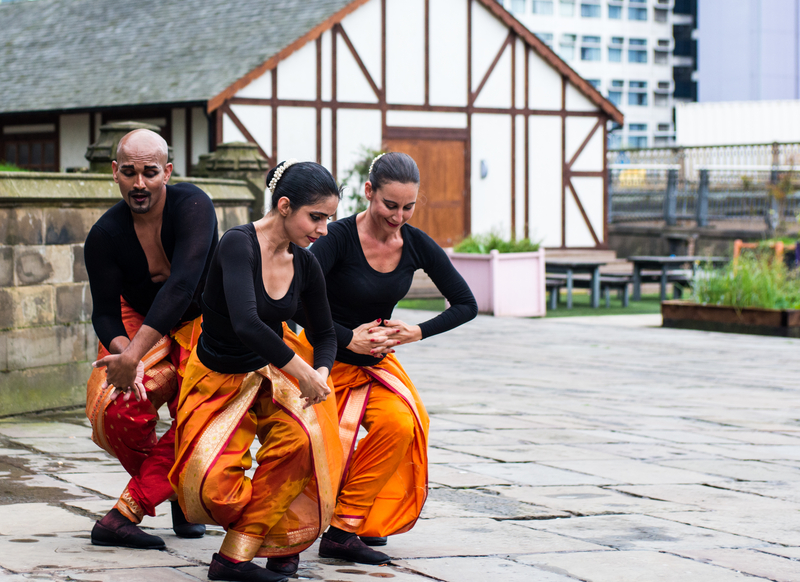 Ascension toured in 2014 and was performed at St John’s Church as part of National Theatre’s Watch This Place Festival, at Mintfest in lake Urban Moves International dance Festival organised by Dance Manchester. 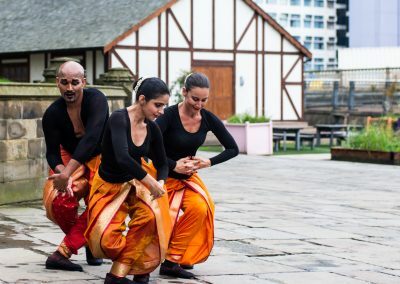 Manuela Benini, Kalidasan Chandrashekaran and Khavita Kaur.